AB Electrical | AB Electrical – Electrician in chepstow, Caldicot, Newport, Forest of dean, Lydney, Coleford, Tutshill, Bulwark. Here at AB Electrical we offer a range of professional electrical services. We pride our self in providing cost effective electrical solutions. Please feel free to browse around our website. If you feel any of our services could be of use to you or you’d simply like to find out more please do not hesitate to get in touch with us, via navigating to the contact page. 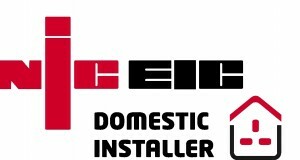 Electrician in Chepstow, electrician in Caldicot, electrician in Forest of Dean, electrician in Newport, electrician in Lydney, electrician in Bristol, Electrician Chepstow, electrician Caldicot, electrician Forest of Dean, electrician Newport, electrician Lydney, electrician Bristol. Chepstow, Tutshill, Bulwark, Caldicot, Tidenham, Sedbury, Thornwell, St Arvans, Mathern, Rogiet, Undy, Magor, Redwick, Trelleck, Devauden, Itton, Shirenewton, Caerwent, Newport, Lydney, Woolaston, Bream, Parkend, Yorkley, St Briavels, Clearwell, Coleford, Blakeney, Broadwell, Tintern, Brockwier, berry hill, Bristol, Monmouth, Cwmbran, Pontypool, Yate, Cam & Dursley, Gloucester, Cheltenham. "I have used this company on several occasions and passed the number on to friends and family. I am very pleased with their professionalism and quality of their work. Highly recommended". "Amazingly, professional service. The lad even hoovered up afterwards! Highly recommended". "Did a brilliant rewire on my chip shop and was very reasonably priced. Fitted the job in around my opening hours too. Thanks for a very professional service." "Andrew Brooks of AB Electrical has done 5 jobs for me in the last 3 years ranging from some emergency repairs to a complete rewiring of my house. He is highly skilled, experienced, reliable, personable and very reasonably priced. I would not think of going elsewhere for electrical work."